Matues Fernandes, 22, died after reportedly suffering four heart attacks during a Remulos Fight Night event in Manaus, Brazil. Earlier this month it was reported (via the New York Post) that Mateus Fernandes, an amateur mixed martial artist, died on March 30th after losing a fight for the Remulos Fight Night promotion in Manaus, Brazil. Fernandes, who was fighting Obed Pereira, looked to have won the first two rounds of the bout before being knocked down by punches in the third round. 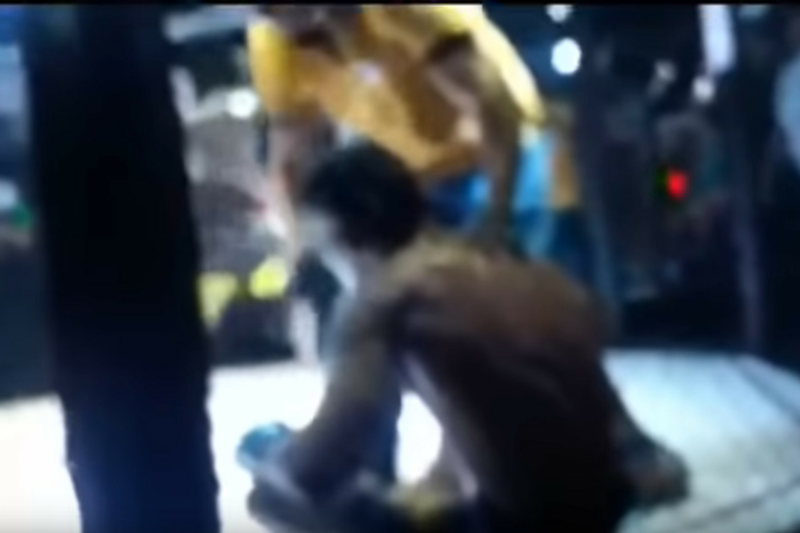 Footage of the match shows that Pereira landed one more strike to Fernandes’ head before the referee was able to step in and call off the fight. After collapsing, Fernandes’ body reportedly stiffened and underwent spasms. Fernandes was then rushed from the venue and taken to Sao Raimundo Accident and Emergency hospital. Event organizer Romulo Lobo stated that Fernandes was alive when he reached the hospital. Fernandes was pronounced dead at 11:45 PM local time. He was 22-years-old. According to Guilherme Cruz of MMA Fighting, Fernandes trained with Cormando Campeoes, a social project that allowed individuals who had suffered from drug addiction to pursue mixed martial arts. Project coordinator Vanderluce Cantuarias told MMA Fighting that a coroner’s report showed that Fernandes died of an alleged drug overdose and not by injuries sustained during his fight. Cantuarias claimed that Fernandes passed a drug test the day before the fight, but that ex-students later told her that Fernandes used drugs after the test was conducted. Fernandes is at least the seventh known fighter to die in or after a sanctioned mixed martial arts fight. The most recent fighter to die, prior to Fernandes, was Rondel Clark. Clark, died after an amateur match at Cage Titans XXXV in Plymouth, MA on August 12th, 2017. The 26-year-old reported difficulty breathing after losing via TKO. He was stretchered out of the venue and transported to hospital where he died three days later. His cause of death was determined to be extreme rhabdomyolysis; a rapid break down of muscle tissue caused by a combination of physical overexertion and dehydration (per International Journal of Sport Nutrition and Exercise Metabolism). Prior to Clark, Donshay White, 37, died after suffering a TKO at Hardrock MMA 90 in Louisville, KY on July 16, 2017. The cause of his death was ruled as hypertensive heart disease (per WDRB). Along with the seven reported deaths in sanctioned MMA there are also at least nine reported deaths that have occurred around unsanctioned fights. Among those incidents is the death of João Carvalho, who died of a brain hemorrhage on April 11th, 2016. His fatal injury was sustained a few days earlier, in a fight with Charlie Ward at a Total Extreme Fighting show in Dublin, Ireland.